ALBANY, NY (WSKG) – Another candidate has announced they will challenge Andrew Cuomo for Governor. This time it’s Dutchess County Executive Marc Molinaro, who offered a political indictment of Cuomo’s practices and temperament in office. The 42 year old Molinaro, made his announcement in Tivoli, the small Hudson Valley village where he grew up, and where he became mayor, at the age of 19. He also served in the state assembly before holding his current job running a county that is part New York City suburb, and part country. He says he considers public service his life’s calling, and a run for governor as the next step. He vowed to change the tenor and the substance of state government, which he says is too full of self serving politicians and presidential ambitions. Cuomo is viewed as a potential 2020 candidate for President, but has not said he’s interested in the job. Molinaro took on the incumbent governor directly, saying that Cuomo spends too much time dealing with legislative leaders behind closed doors, and focuses too much on feuding with New York City Mayor Bill deBlasio. 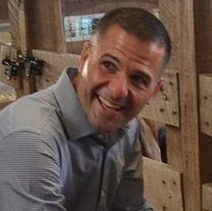 Molinaro says he prefers “conversation and compromise”. Molinaro says he’d work to reduce the state’s taxes, which are among the highest in the nation, and would help families and small businesses. Growing up, Molinaro’s family was not wealthy, and he thought he was the luckiest boy in his elementary school because he received a free lunch. He says as governor, he’d like to redesign the state’s anti poverty programs. He also wants to fix the New York City subways and invest in other infrastructure. He pledged, that if elected, he would only serve two terms. Cuomo is running for a third term. And he highlighted the bribery conviction of Cuomo’s former closest aid, saying New Yorkers pay a “corruption tax”, because the cost of institutionalized graft and failed state- financed economic development projects. The theme of Molinaro’s campaign is “Believe Again”, a slogan reminiscent of President Donald Trump’s Make America Great Again. But Molinaro, who must run as a Republican in a largely Democratic State, immediately distanced himself from President Trump, while talking to reporters.. He says he did not vote for Trump, but instead wrote in the name of former Congressman Chris Gibson. Nevertheless Molinaro will also need votes from Trump supporters, too, if he wants to win the race, and he tried to reach beyond personalities. He says people want elected official to listen and serve “in a way that brings people together instead of continuously divides”. The state Democratic Party responded in a statement, saying Molinaro is pushing the “ultra-conservative Trump agenda”, and has the same positions as Trump “with a different hair color”. Molinaro is not the only republican candidate seeking the nomination for governor. Senate Deputy Majority Leader John DeFrancisco is also running, and in a statement said he welcomes his opponent to the race, and looks forward to a “a spirited debate”. And- there’s also another Democrat running for governor. Actor Cynthia Nixon is challenging Cuomo from the left, in a Democratic primary.